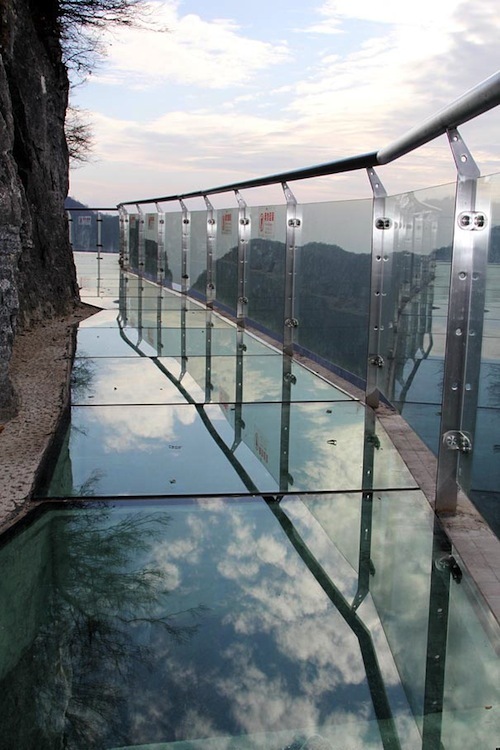 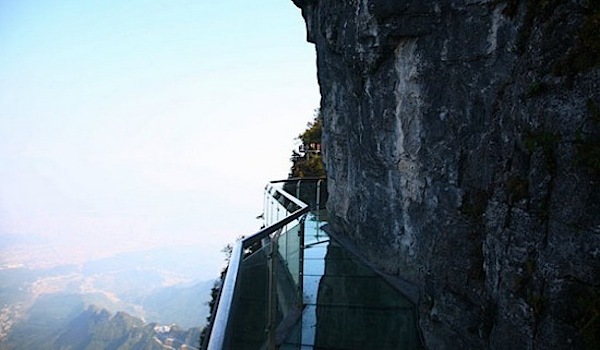 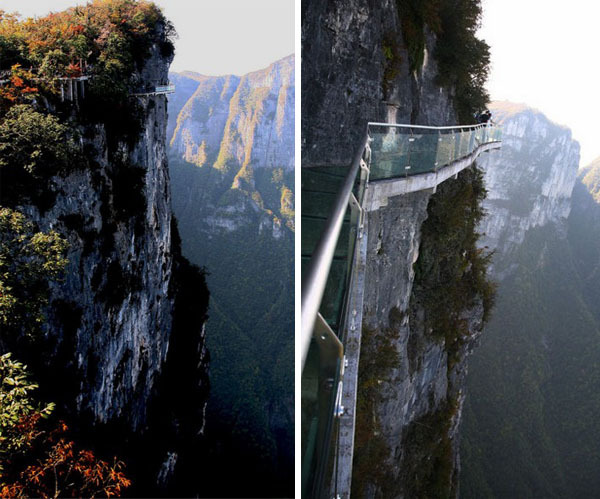 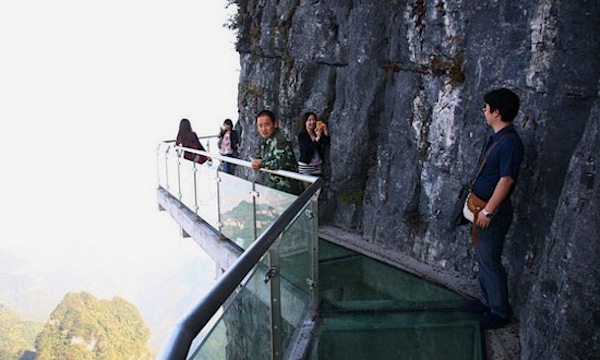 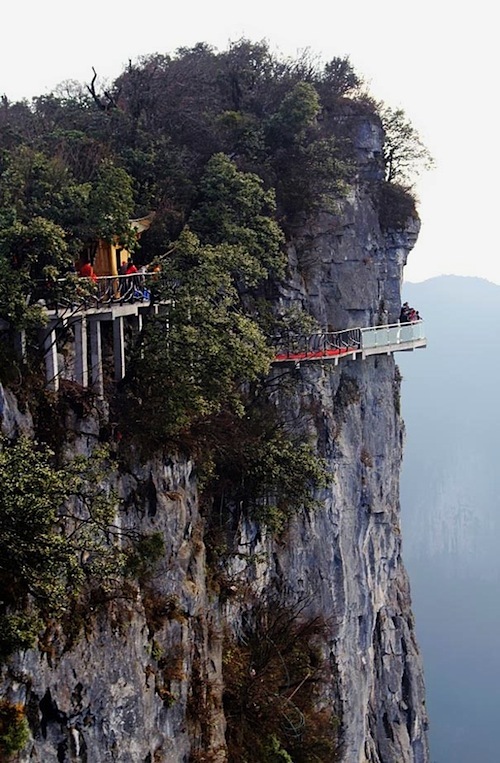 This glass plank road called „Walk of faith“ is located in the top of Zhangjiajie Tianmen mountain. 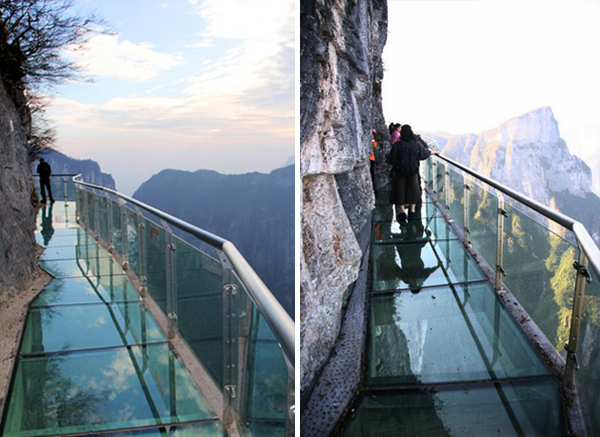 It is 60 meters long, the highest elevation is 1430 meters. 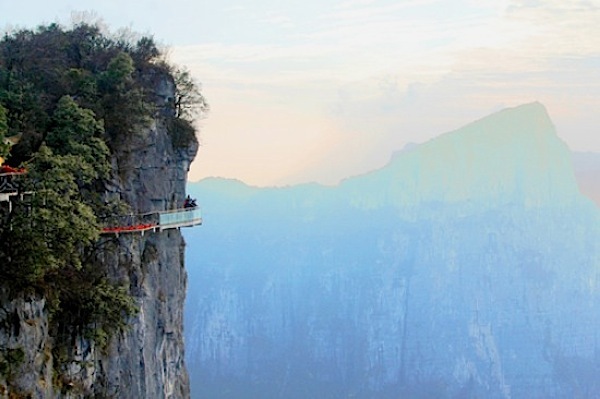 It is another special attractions in the tianmenshan scenic area. 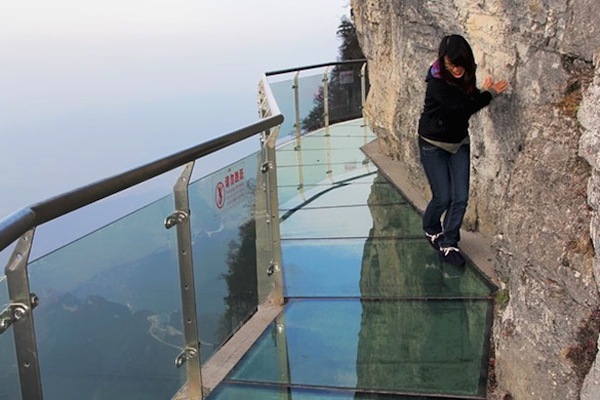 @Mausi: Kann man mal sehen. 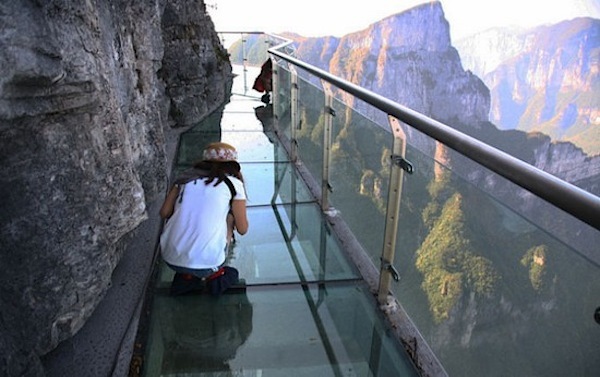 People can’t actually be standing over the glass, they search for ’stabilty‘ under their foot. 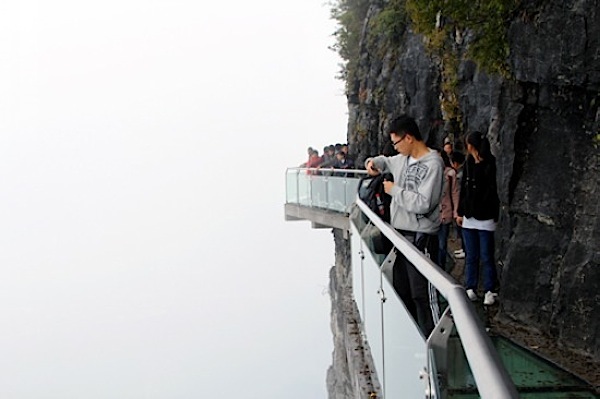 I think I’d do the same.